Spring has well and truly sprung, which can mean only one thing…. it’s nearly time for our concert! It’s also another brand new venue for us. St. Albans at Westbury Park is going to be a fantastic setting for our varied programme – expect Pop, Folk, World, Classical and Rock sung in gorgeous harmony and step into summer with a smile on your face! As always, our matinee is perfect for all the family (and under 18’s are only £1!) and kicks off at 3pm, followed by the evening performance at 8pm. You can even join us for a hot drink and a cake after the matinee, and something a little stronger after the evening performance. 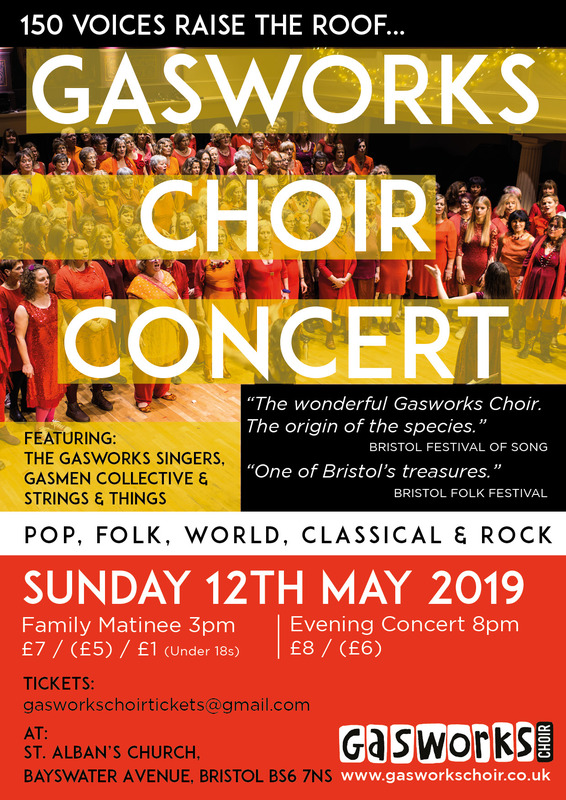 With guest performances from The Gasworks Singers, The Gasmen Collective and Strings and Things (evening only), get your tickets by emailing gasworkschoirtickets@gmail.com and see in the summer with the fabulous Gasworks Choir! ← Gasworks Fire! Pop-Up Choir!